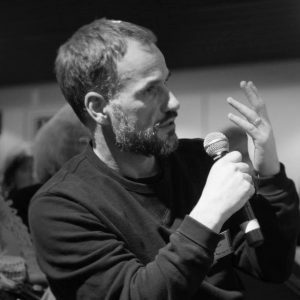 Mat Southwell is a high-level advocate, technical advisor and drug user activist. He was one of the UK’s first generation of harm reduction workers in the late 1980s founding the pioneering and award-winning Healthy Options Team (HOT). Mat trained as a health service and project manager. He went on to be professional head of service and general manager for East London and the City NHS Drug Services (ELCDS). ELCDS included two drug dependency clinics and a shared care scheme with local community doctors, which provided opioid agonist therapies like methadone and buprenorphine to 4,000 people dependent on opioids. In 1999 Mat decided to come out publicly as a drug user on a BBC documentary leading to his dismissal from the NHS and the loss of his successful private consulting firm. Since this time Mat has supported drug user organising, leading different drug user networks from the local to the global level. Mat is currently Project Manager for the European Network of People who Use Drugs (EuroNPUD). He also works as a technical advisor through Coact and supports the partnership mechanism between drugs civil society and UNODC Global HIV Programme. Mat has worked in Afghanistan, Myanmar, Eastern Europe and across Africa.